Last weekend, Sweden and Gothenburg hosted an EU meeting, with the official title “Social summit for fair jobs and growth”. Because of this, Carline was invited to take part of a round table discussion on EU related issues. 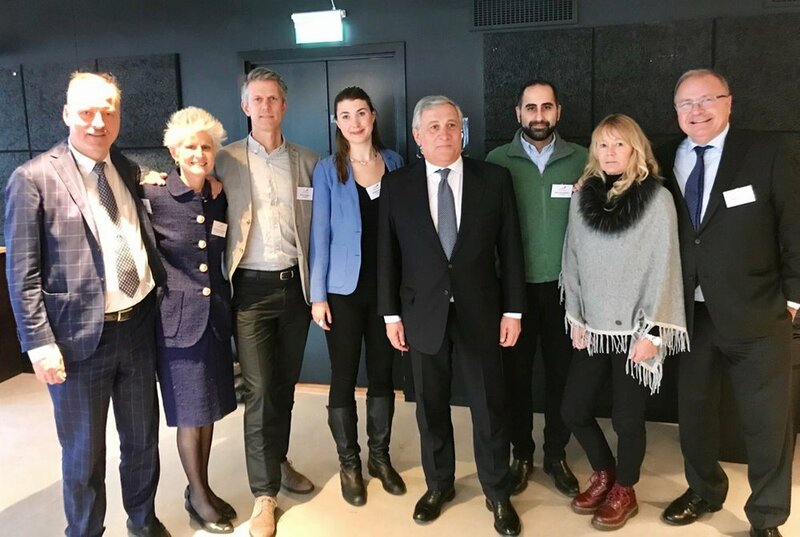 Representatives from both politics and business attended, among others, Antonio Tajani, President of the European Parliament and Klaus Walle, Secretary General of the European Parliament, Anna Maria Corazza Bildt, the Swedish member of the European Parliament, Nami Zarringhalam, Cofounder and CSO of Truecaller and Staffan Helgesson, General Partner Creandum. Among the issues brought up were the biggest impediments to growth for startups, and how to create the next huge successes in Europe. Truecaller and SUP46, who attended, talked about free data and less strict integrity rules. Caroline and Walerud Ventures raised the discussion on talent acquisition, to allow the worlds experts to move to Europe, educating and retaining them here. Other topics discussed were the importance of being forward thinking with the big upcoming trends, like AI, automation and biotech. To ensure that EU helps those industries grow through providing clear frameworks. Thanks to all the participants for the invitation and an interesting discussion!